The love relationship between two celebrities is always a subject of curiosity for fans and the public. American journalist Eva Pilgrim has been dating a singer/songwriter from a long time. Therefore, all of us definitely want to know when will she tie the knot with her celebrity Bae. The American Broadcast journalist is a correspondent for ABC News. She is a South-Korean native brought up in a military family in the US. The beautiful journalist is a co-host of Good Morning America broadcasted on ABC News. 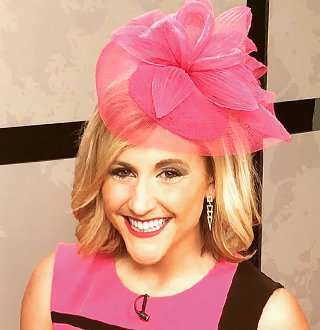 She was an anchor and reporter at WPVI in Philadelphia and had previously worked at stations in Charlotte, NC, Bluefield, WV, and Columbia, SC. 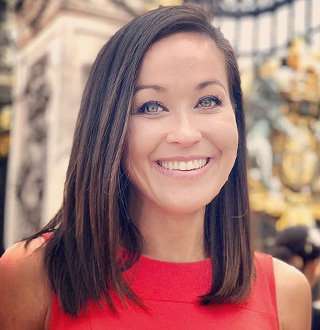 ABC News' Eva Pilgrim was born in Seoul, South Korea, on 30th August 1982. Her grandmother from the mother side had fled North Korea before the Korean War took place in 1950, leaving most of her family behind. Growing up in a household of a military dad and empathizing saddened maternal grandmother, in South Korea, Eva, was able to gain the first-hand experience of how Korean families suffered after the separation of the Korean peninsula. Her grandmother couldn't connect to her families in North Korea after moving to Seoul. She would try to send money and letters to North Korea via cans through water, but all of the efforts got wasted in vain. Eventually, Eva and her family moved to the United States and wandered all over the country before settling in South Carolina. She later completed her education from the University of Florida and the University of South Carolina. She was a member of the university's speech and debate team at the University of Florida, where the sound arguments motivated her to join journalism. As Eva Pilgrim belonged to a family that fled from North-Korea due to the War, the historic summit between America and North Korea meant a lot to her. In June 2018, when the Historic summit was taking place between the United States and North Korea in Singapore, Eva was giving her views in an interview at ABC News. She said her grandmother, who was born and raised in North Korea, had escaped South from Hamhung to Seoul during the periods of conflicts, leaving the rest of their family behind. She also shared that her grandmother faced emotional trauma because of the separation of the peninsula. Likewise, Eva mentioned that her mother felt that the Summit was positive, but was skeptical about the progress it would make. As of now, Eva's grandmother is no more. Her grandmother died without meeting or knowing anything about her family. How much Salary Does Eva Pilgrim Make? Being a talented journalist who has covered countless major national stories as an anchor/reporter of the most renowned shows of America, Eva Pilgrim is enjoying fortunes in her life. Additionally, she has won several awards for her investigative journalism from reports on taxi drivers neglecting to pick up people in wheelchairs to members of the military who were being scammed. However, the talented journalist salary and net worth remain undisclosed. Taking that into account, we can at least say that Eva enjoys a top-class salary as it is a well-known fact that ABC News pays its correspondents very well being a top class American Broadcasting Media Network. Eva has a skin care and cheeseburger obsession. She is a fitness and sports fan and calls herself an ArmyBrat since her father was in the army. What's more, she has a pleasing personality and beautiful face complimented with a height of 5 feet and 7 inches and slim body measurements. If you aren't aware, Eva Pilgrim has always been open about her relationship status. She has been dating American country singer and songwriter Clayton Anderson, a native of Indiana, from a long time. Well, her boyfriend, Clayton, is known for his warm good-time songs such as In The Dark, and Beer Tastes Good On Friday. What About Eva Pilgrim & Clayton Anderson's Wedding Plans? Both of them seem to be fond of each other and have enjoyed vacations in several places together over the years. After all, Clayton's romantic songs must have come handy while impressing Eva. As for Eva, Clayton is the guy whom she trusts a lot. She is happy and proud to be with him. However, she didn't trust him at first when they met and made him work really hard to get her attention. Therefore, answering the million dollar question, we can guess the pair is likely to upgrade their relationship status to newlywed very soon. She often addresses him 'hunny' after all.